Considered one of the best examples of shingle style architecture in the United States, the Isaac Bell House is one of the almost dozen Newport mansions maintained by the Preservation Society of Newport County. The house was built in 1883 for investor and cotton broker Isaac Bell. It had a number of owners over the years, until it was purchased by the Preservation Society in 1996. Today, the house can be toured as a work in progress. The exterior has been renovated, but interior work continues. 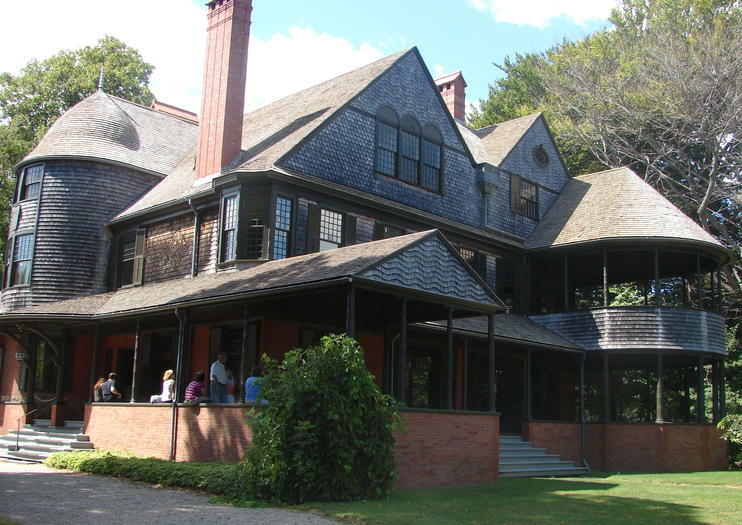 Isaac Bell House is open seasonally and the operating schedule can vary. Plan on about one-and-a-half hours to explore the estate and grounds. Free off-street parking is available. Children are welcome, but strollers are not permitted inside the Isaac Bell House. Visit Newport, Rhode Island and its historic mansions on a private full-day tour from Boston. Relax in a deluxe vehicle with your own private driver who takes you to the elegant mansions that overlook the Atlantic Ocean. You can tour the mansions (own expense), stroll around the grounds and the Cliff Walk, and have lunch in Newport, where many restaurants serve up fresh seafood and more.